Havildar Satingian Phunchok was born on 17th June 1929 in Dwara village of Kullu district in Himachal Pradesh. In the year 1948, Hav Satingian Phunchok was enrolled in the army at the age of 19 years, on 17th June which happened to be his birthday too. He was recruited into 7th Battalion of J&K Militia, which on 01 June 1963, became part of Ladakh Scouts along with 14th Battalion of J & K Militia. During the period of Indo China war, Hav Satingian Phunchok’s unit of J&K militia (Ladakh scouts) was deployed at Changla Post in Ladakh area. 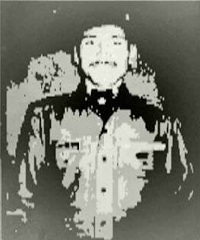 Hav Satingian Phunchok was second in command of his unit. On 27th October morning Hav Satingian Phunchok was leading his unit of J&K militia at Changal post. Chinese army had built up significant concentration of their troops in that area and on the fateful day large number of the their troops attacked the Indian army post and shelled heavily on them. Hav Satingian Phunchok single-handedly fought with extreme courage. As commander he did not yield an inch until he was overpowered in his trench and was killed. He inflicted heavy casualties on enemy however, he succumbed to injuries and laid down his life in the service of nation. Hav Satingian Phunchok was given the nation’s second highest gallantry award, “Maha Vir Chakra” for his exceptional courage, unyielding fighting spirit and supreme sacrifice. Havildar Satingian Punchok was Second in Command at Changla Post, Ladakh. The post was heavily shelled and attacked by the Chinese in overwhelming numbers on the morning of 27th October 1962. Havildar Phunchok showed unflinching courage and inflicted heavy casualties on the enemy. He did not yield an inch until he was overpowered in his trench and killed. He displayed courage and devotion to duty of a high order.